The Creek to Coral program aims to maintain and enhance healthy waterways within the coastal dry tropics of the Townsville region. This is a joint initiative by the Queensland State Government - Environmental Protection Agency, and Townsville City Council (TCC) towards a healthy waterways program. It is also supported by Townsville Port Authority and the Great Barrier Reef Marine Park Authority. Our program focuses on Total Water Cycle Management (TWCM) and the provision of community education and involvement. TWCM is a partnership across a number of Townsville City Council sections including Integrated Sustainability Services. For further information please contact the Creek to Coral Team Leader. The Black Ross (Townsville) Water Quality Improvement Plan (WQIP) has been prepared by Creek to Coral and its partners with funding from the Australian Government’s Coastal Catchments Initiative (CCI) program. The WQIP is based on Total Water Cycle Management principles and focuses principally on the management of urban and peri-urban stormwater related issues. To find out more about Townsville's WQIP please visit the Creek to Coral website. Council is required to manage stormwater quality in urban areas. The Queensland Government's recently released State Planning Policy (SPP) for healthy waters comes into effect on the 2 May 2011. This policy is designed to help improve urban stormwater quality and flow management across the state, through the adoption of Water Sensitive Urban Design (WSUD) and Erosion Sediment Control (ESC) measures. To help ensure compliance with this policy, Townsville City Council has been proactive in developing locally relevant WSUD technical design guidelines (stormwater) for our region. These draft guidelines have been developed to reflect the unique climatic, soils and vegetation characteristics in Townsville. The draft guidelines have been produced by AECOM (Australia) for Townsville City Council with the approval of the Healthy Waterways Partnership. 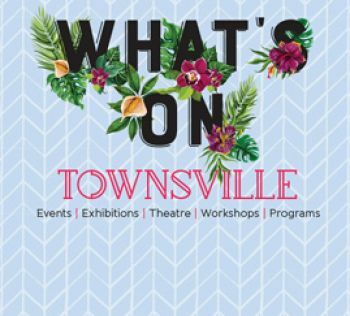 This publication was funded by the former Townsville and Thuringowa City Councils, the Queensland Environmental Protection Agency and the Australian Government’s Coastal Catchment Initiative through the Department of Environment, Water, Heritage and the Arts. Visit our WSUD page for more complete guidelines and fact sheets. Townsville City Council is proud to be recognised as a Reef Guardian Council, for our efforts to help protect, conserve, and enhance the values of the Great Barrier Reef World Heritage Area. The Reef Guardian Council program is an initiative of the Great Barrier Reef Marine Park Authority, involving the coastal councils of the Great Barrier Reef region. The program aims to protect and conserve the Great Barrier Reef for future generations by encouraging, promoting and recognising improved environmental practices by local government. These actions lead to improved environmental outcomes for the Great Barrier Reef, including improving water quality and helping build its resilience in the face of climate change impacts. Visit the Reef Guardian Councils website for further information. Why is Townsville City Council a Reef Guardian Council? Townsville City Council is committed to helping to protect, conserve and enhance the values of the Great Barrier Reef World Heritage Area for future generations. Council recognises its role in helping to improve land-based management practices and how these actions will help protect the Great Barrier Reef. Commit to identifying and developing key partnerships and collaborations that can help meet these objectives. Council is committed to implementing programs and actions to help reduce and manage the impacts of landuse activities on the Great Barrier Reef, including helping to reduce catchment based and point source pollution sources. investigating options to reduce water use and demand in public outdoor areas. Council is committed to implementing programs and actions that help reduce waste, litter and other land-based pollution sources from entering the Great Barrier Reef. provision of kerb side, public place and event recycling. Council is committed to implementing programs and actions to promote responsible land management and promote awareness of harms to the reef from inappropriate land management activities. Council is committed to engage the wider community in various environmental activities to help raise awareness of environmental issues and to achieve on-ground activities that would contribute to protecting the Great Barrier Reef. undertaking community capacity building and training e.g. Thematic communication. Council is committed to fostering the implementation of programs and actions that help reduce the overall carbon footprint of Townsville, while also helping to also mitigate against the impacts of climate change in the future. A Shoreline Erosion Management Plan or SEMP is the Queensland State Governments’ preferred method for local councils to address coastal erosion issues. A SEMP provides a recommended plan that can be used in an effort to protect coastal property, buildings, roads etc. A SEMP ensures that the best plan for managing the shoreline is created by using the skills of coastal experts and involving all relevant stakeholders and authorities (Great Barrier Reef Marine Protection Authority, Department of Environment and Heritage Protection etc.). This means that if shoreline erosion management projects happen in the area there is already a plan in place that has been agreed on by Council, State Government and Federal Government. This ensures that the best possible erosion management is undertaken and makes it easier to get approval to do the work. Below are the SEMP for Townsville shorelines. What is the Dry Tropics Water Smart Program? The ‘Dry Tropics Water Smart - Residential Outdoor Water Conservation Program’ is an initiative of Townsville City Council, Townsville Water and the Queensland Government. Through the program, Townsville City Council is investigating ways to assist residents to reduce their outdoor water use, while also ensuring healthy and resilient gardens and lawns in Townsville. It is expected the program will help inform Council’s strategies for ensuring Townsville remains water secure in the future. The program being developed in partnership with our research partners at the University of Adelaide and is based on the behaviour change principles of ‘Community Based Social Marketing’ (CBSM) and ‘Thematic Interpretation’ (TI). The program aims to encourage residents to ‘adjust watering schedules to match weather conditions and landscape requirements’ through the investigation of methods to encourage this behaviour and the quantification of the resultant household water savings. Council in partnership with the research team identified 71 behaviours that residents could adopt that may reduce outdoor water use. These behaviours were investigated for their potential for water savings (in kL) and their likelihood of uptake. This yielded a short list of 12 behaviours (see below) that were further investigated for the potential barriers and benefits for each to inform the community engagement. Add organic matter to the soil (including top dressing the lawn) to improve moisture and nutrient holding capacity. Adjust watering schedule to match seasonal weather conditions and landscape requirements. Group plants with similar water needs together (Hydro-Zoning). Ensure outdoor taps, hoses, water meters and irrigation systems do not leak. Install and use drip irrigation rather than handheld hoses or sprinkler systems. Lightly fertilise lawns to reduce watering needs. Improve the water absorption of clay soils by treating with gypsum products. Take the catcher off the mower and leave the grass clippings on the lawn to protect against evaporation. Place mulch on garden beds and potted plants to reduce evaporation and increase organic matter in the soils. Plant vegetation suitable to the climatic conditions. Grow plants best suited to the soil. Reduce lawn area to reduce watering requirement. ‘Rain-Switch Pilot – Automatic Systems’: This trail is currently being rolled out over the 2011/12 wet season. This trial provides a rain-switch to residents (60 households) with automatic watering systems (which automatically switch off irrigation systems after rainfall). Invitations to participate were offered to residents on the Standard Plan who are consuming more than 772kL/yr (some 9%). A local irrigation specialist visits participants home to install the rain-switch and optimise their irrigation system to suit the requirements of their garden and lawn (based on soil, plant types etc). ‘Water Smart Education Pilot’: This trail will be conducted over the 2012 dry season and is focused on the development and dissemination of education and capacity building materials to empower residents to reduce outdoor water consumption. The trial will use a range of tools including thematic communications, online resources, and community sessions. Participation in the pilot will be offered to residents on the Standard Plan that are consuming between 350 and 772kL/yr. The pilot program is being conducted in accordance with University of Adelaide’s research commitment to the National Statement on Ethical Conduct in Human Research. All information gathered will be treated as confidential and participant responses will remain anonymous with no personal information or household specific information (including water use) to be disclosed. As well as being in accordance with the Townsville City Council Privacy Statement.